TOMS RIVER, New Jersey (WABC) -- Roots run deep for a Toms River native who is playing in the biggest game of his life Monday night at Yankee stadium. 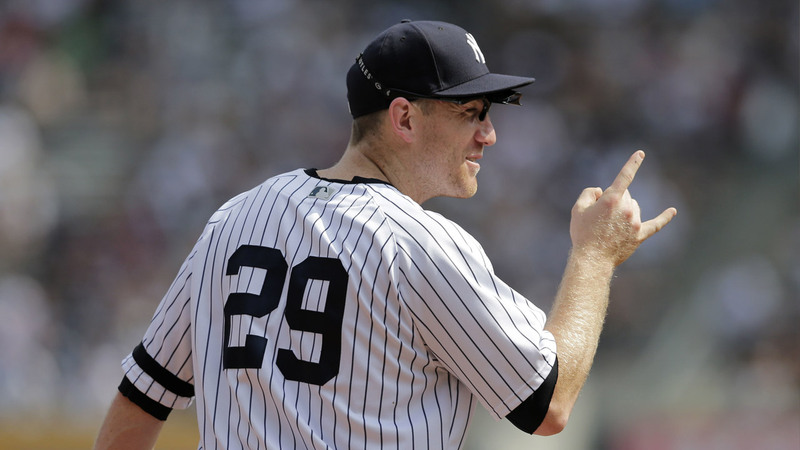 Yankee third baseman Todd Frazier will have the attention of family, fans and folks watching on TV, as well as his hometown, when he takes the field in Game 3 of the American League Championship Series. Frazier has been a winner his entire baseball life. He was on the Toms River East team that won the 1998 Little League World Series. His high school team won championships and his Rutgers baseball team was a winner. Now, his fans are rooting for him to help the Yankees beat Houston and go to the World Series and win. Charlie Frazier is attending Monday's game and says his brother knows he's playing in a very special place. "He's like every pitch you know you're at Yankee stadium," Charlie Frazier said. Charlie Frazier is Todd's older brother and says baseball has been a blessing for his entire family. Charlie signed to play pro ball years ago and now teaches locally. "It's just exciting, I mean everyday what Todd brings to us is something knew," he said. "We just want to keep the ride going." Frazier's high school baseball coach will watch the game from home. Toms River South Head Coach Ken Frank adds, "it was easier coaching him in high school, cause I feel for him now cause I want him to do well." It feels like the whole community wants the same.